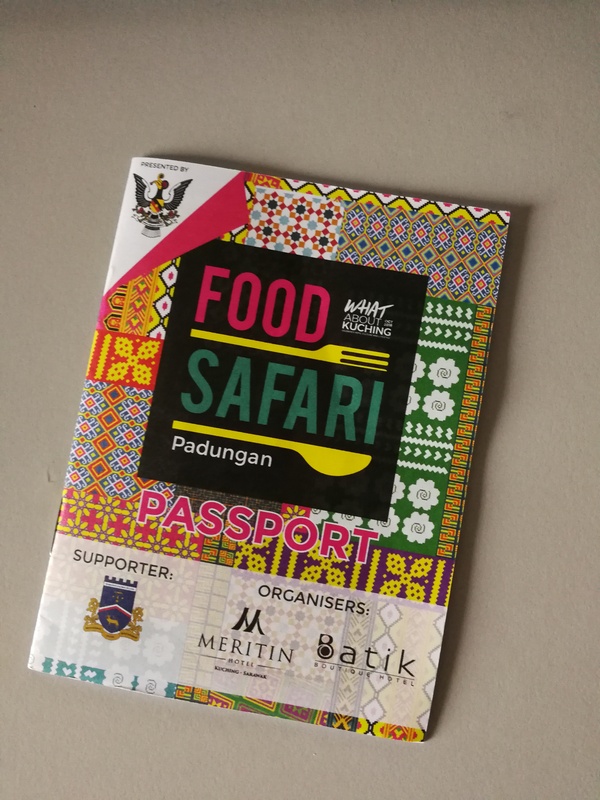 What About Kuching 2018 included a new event called Food Safari which is currently being held along Jalan Padungan. The organisers are Meritin Hotel and Batik Boutique Hotel. 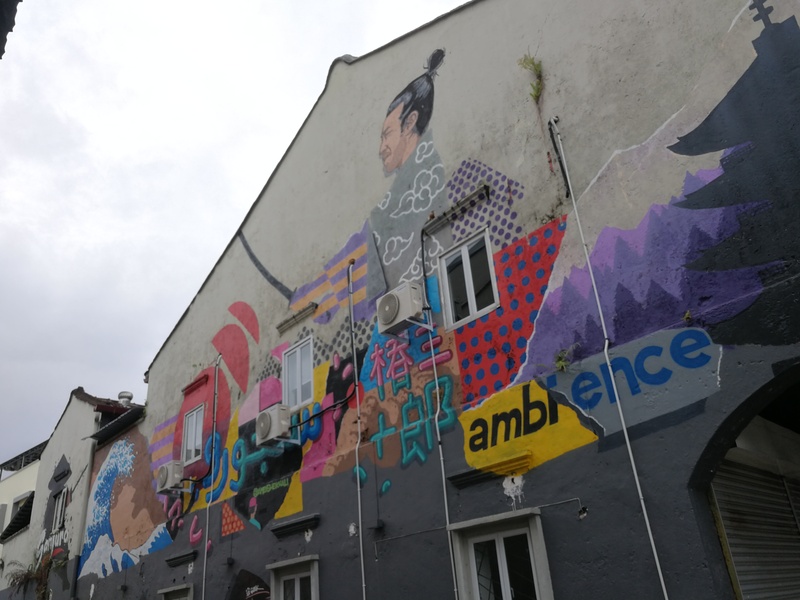 Lots of hidden artwork for you to explore along the street. 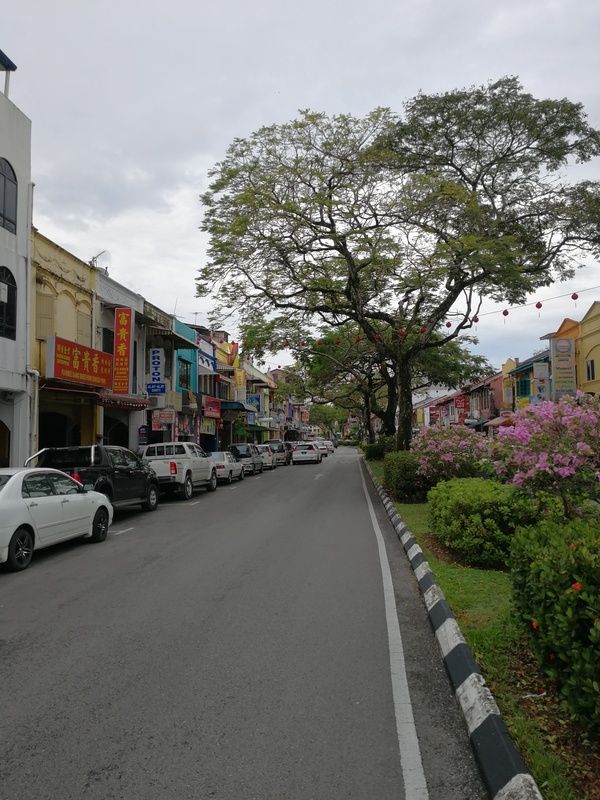 Jalan Padungan takes its name from what was back then the largest Malay village in Kuching. The villagers moved way for the construction of the road and shophouses. Earliest settlers were wealthy Hainanese and Teochew towkays who got rich from the rubber boom. 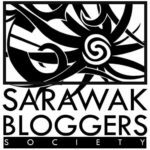 I represented Sarawak Bloggers to cover the event yesterday during the opening day and went along the street to sample some of the foods. Got our passport from Meritin Hotel (but apparently you can get it from any one of the 60 vendors listed). This booklet is super informative! Contains very detailed information about the event and a full list of the vendors with descriptions. First port of call? Ming Hong Kee. This family shop has been around for more than 60 years and is one of the oldest businesses on the street. 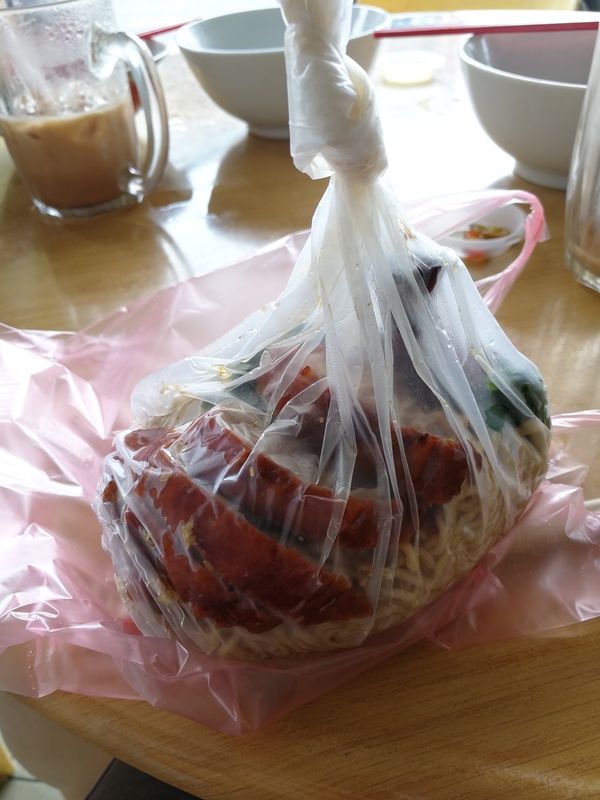 We tried the kolo mee which was delectable. Tried the traditional kolo mee and kolo mee kosong with a bowl of meatballs in seaweed soup. Yummy! Sampled some char siew buns from Abee Traditional Buns. Delicious! Too bad didn't take any photos. Went on to Hong Kong Noodle House for the missus to tapau some roasted duck noodles. Visited Hock Hai / Fook Hai Cafe and sampled the kolo mee there. 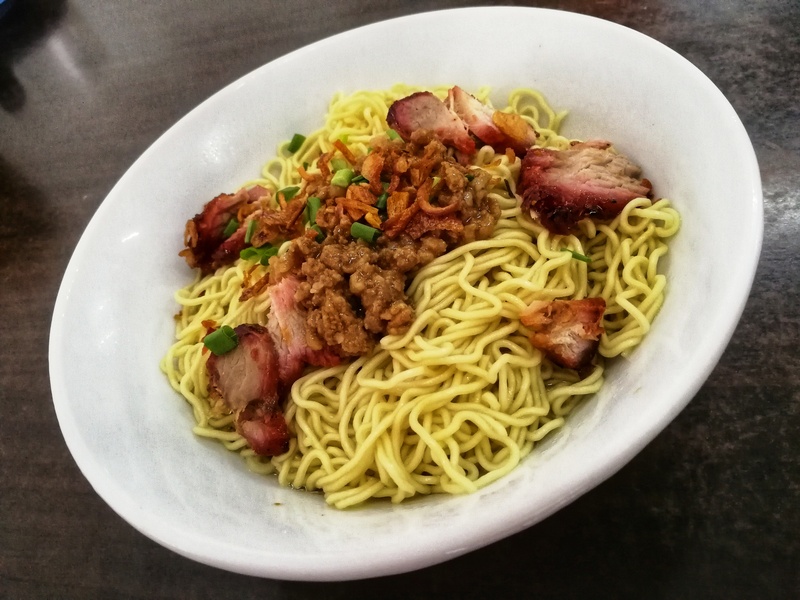 I found it quite different - the meat was really tender and juicy, quite unlike other char siew meats you usually find on other kolo mee places. 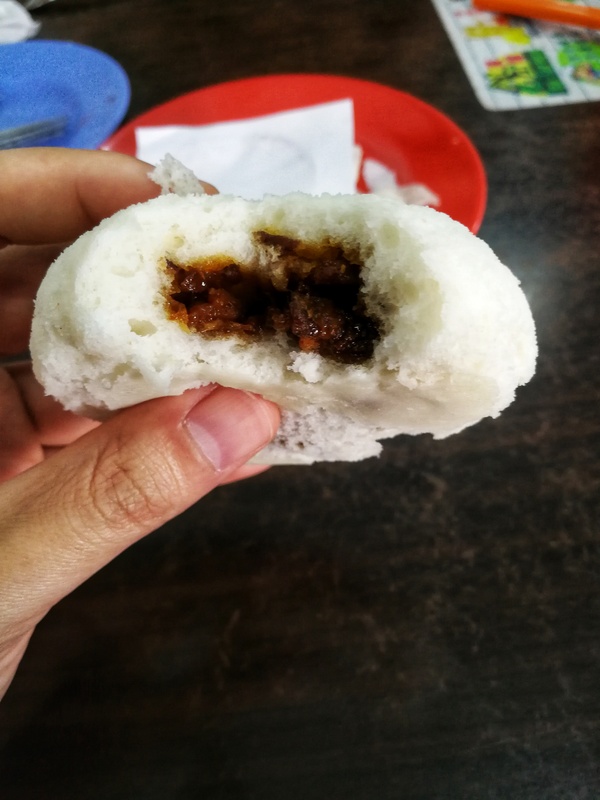 Needless to say, their steamed char siew buns were really delicious too - they've been in business for more than half a century! Kolo mee at Hock Hai / Fook Hai Cafe. Heavenly! I daresay, one of the best steamed char siew buns I've ever tried. Went back to visit Taiwan Siao Jou too. This chain of eatery needs no introduction - very good place to go if you're looking for something home-style cooking. 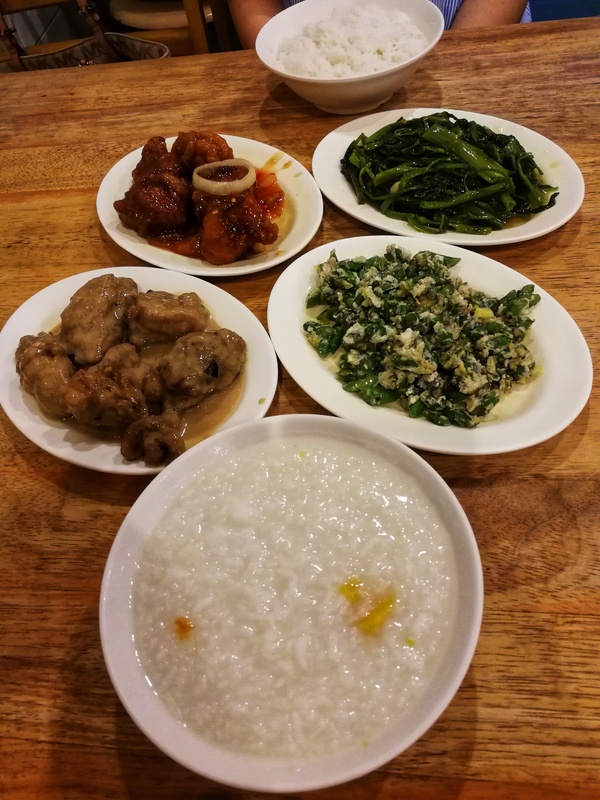 Tons of dishes to choose from to go with your rice or porridge. Will definitely check out the rest of the shops. There are over 60 vendors listed in the event! You can get your passport stamped with every purchase at the participating outlets, but do note that some of the vendors may have their own terms and conditions (e.g. Hong Kong Noodle House will only stamp if you purchase more than RM50). Gather 20 stamps to redeem a WAK 2018 fun pack, and get 40 stamps for a surprise goodie bag. 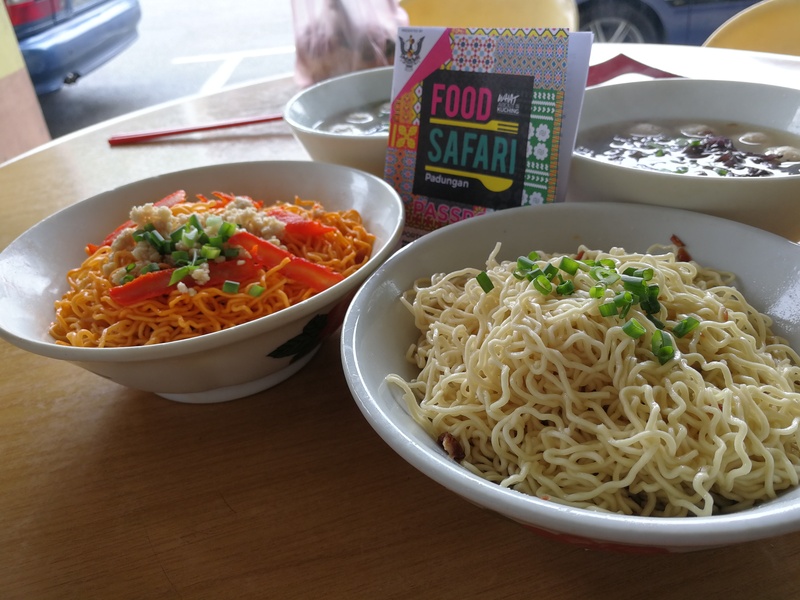 Food Safari ends at 11.59pm on 28th October so you still have about a month to go sample all the foods.